The symphonies of Ludwig van Beethoven (1770-1827) were immensely popular at the beginning of the 19th century. However, performances of these masterpieces were relatively rare, and not every music lover was in a position to hear orchestral concerts on a regular basis. For this reason, many were destined to enjoy their favourite symphonic works in the form of arrangements that they played at home themselves. 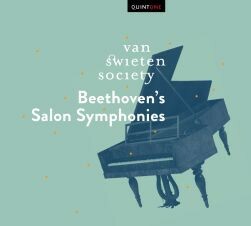 The Van Swieten Society is eager to bring this forgotten style of performing symphonic works back to life, complete with original period instruments of the era and the accompanying stylistic expressive language.